Bowling Green Car Wreck Attorney describes how Medicare Lien will affect your personal injury claim? Medicare has a right to be reimbursed from your personal injury settlement with a third-party (called “subrogation”). Medicare’s subrogation rights are very strong under federal law, but they should not prevent you from pursuing your claim against the third-party causing your accident. Bowling Green Car Wreck Attorney, Matt Troutman, is experienced at resolving Medicare subrogation claims in order to maximize your recovery. Mr. Troutman handled a case not long ago where the Medicare lien more than doubled the amount of liability insurance available to the person causing the accident and the client had her case turned down by a previous injury attorney due to the amount of the Medicare lien. 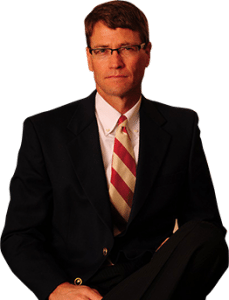 Despite the amount of the lien, the Troutman Law Office was able to obtain a substantial recovery for the client. The Medicare representatives can be difficult to deal with, but if your Bowling Green Car Wreck Attorney is knowledgeable about the Medicare laws, you can negotiate with them successfully. Do not let the amount of the Medicare lien discourage you from contacting Bowling Green Car Wreck Attorney Matt Troutman about your claim. An evaluation is provided free of charge and the lien will not make the case not worth pursuing. Medicare liens and liens from health insurance companies are another reason why you need a sophisticated Bowling Green Car Wreck Attorney to help you resolve your car accident claim. Contact Matt Troutman directly or by email at troutlaw3550@gmail.com.